Do NOT miss this opportunity!! Beautifully designed and LARGE, 3 Bed/2.5 Bath townhome with attached 2 car garage in City Park!! This 2300+ SQFT townhome has been immaculately maintained and includes tons of upgrades: hardwoods, granite countertops, shaker style cabinets in the Kitchen, gas cooktop and separate garden tub and tiled shower in the Master Bath. Enjoy walking to Starbucks, Chipotle, Panera Bread, Farmer's Market & more! Less than 10 minutes to popular OMB area in LoSo; 15 minutes to Uptown. 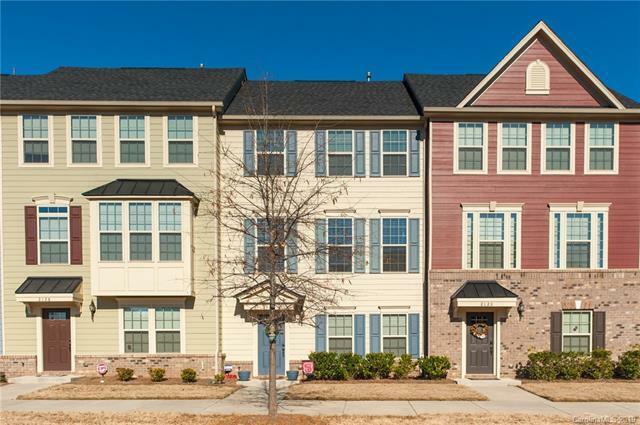 Convenient and quick access to I-85, I-485, I-77 and the Charlotte Douglas Airport. Neighbors Renaissance Park and Golf course. Seller is a NC Licensed Real Estate Agent.